The Castilla is hand crafted from finest polished K Leather which is water resistant and suitably soft and supple. 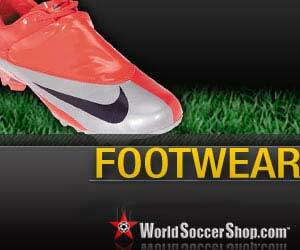 The Joma Castilla football boot sees Joma introduce a reduced weight classically styled boot for the 2008/09 season. As with many top Joma boots, the Joma Castilla is hand crafted from the finest polished K Leather which is water resistant and suitably soft and supple. The Joma Castilla football boot features a 180° carbon heel counter for added protection, with Joma's Pulsor technology insole giving improved cushioning and support. This Firm Ground version of the Joma Castilla football boot is ideally suited to hard ground, turf and artificial surfaces and the classic White/Blue colour combination will ensure you never go out of fashion!